All schools must complete a seating chart for every exam administered and keep it for at least six months. Students must be seated randomly (not alphabetically or following any other expected pattern) within the testing room. Under no circumstances should students select their own seats. Do not return any seating charts with exam shipments unless they are required as part of an Incident Report. The seating charts will help expedite an investigation of a reported incident and prevent score reporting delays. Please note that some AP Exams have their own seating policy – complete requirements can be found in the AP Coordinator’s Manual. 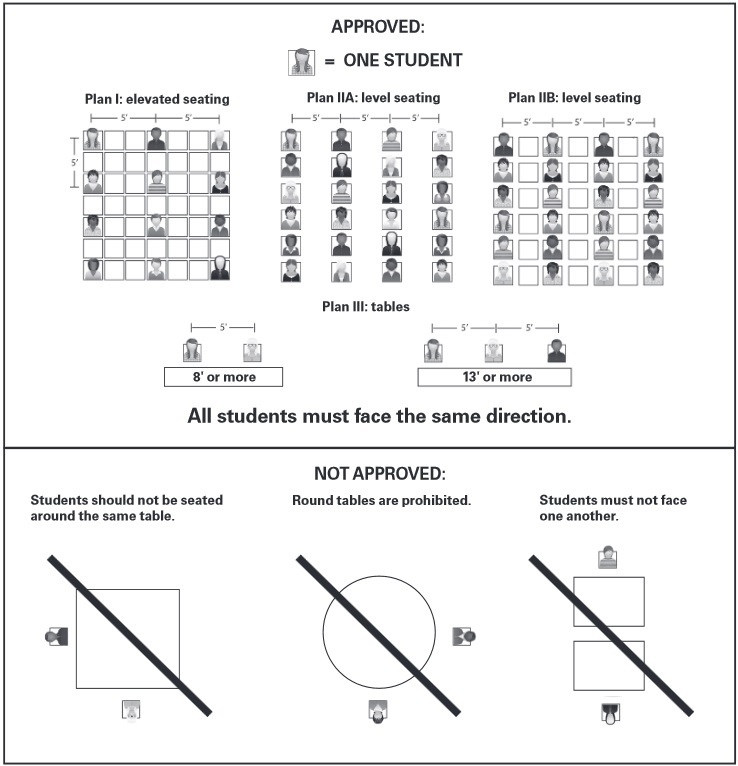 Click on the graphic for a full-screen view of acceptable seating plans. Start here. This provides step-by-step directions for creating a seating chart and provides a blank form you may use to create your own seating charts. Note: schools may use either the 11-digit serial number of the exam booklets or students’ full names on the seating charts.